Become an Integrative and Functional Nutrition Certified Practitioner! Integrative and Functional Nutrition (IFN) therapy is a leading-edge, evidence-based, systems biology approach to patient care that focuses on identifying root causes and imbalances to significantly improve patient health outcomes. This emerging medical nutrition model combines the very best of modern science, clinical wisdom and critical thinking and is being driven by increasing consumer demand, advancing technology and the changing healthcare landscape. Acquiring the knowledge, skills and tools in IFN therapy will not only bring you greater satisfaction in your professional practice and those you serve, it will also make you one of the most sought after, advanced practice IFN clinicians in the competitive healthcare marketplace. The Integrative and Functional Nutrition Academy™ (IFNA™) is a clinically oriented online training and mentoring program founded by two of the nation’s premier integrative medicine nutritionists, Dr. Sheila Dean and Kathie Swift. IFNA™’s distinguished faculty and advisory board includes top leaders in integrative and functional medicine– trained allopathic and naturopathic physicians, registered dietitian/nutritionists, nurse practitioners, culinary nutrition experts, holistic health counselors and other allied professionals. IFN training includes skill-building in key clinical areas including: nutrition-focused physical assessment, therapeutic elimination diets, conventional and functional labs and diagnostics including nutrigenetic testing, mind-body modalities such as meditation, yoga, breathing techniques, art and science of dietary supplements and other lifestyle-oriented practices. A “whole food as medicine” approach is central to IFN therapy, thus an understanding and application of culinary nutrition concepts, condition-specific healing foods and bioactive compounds in the “food farmacy” is also included. Step 1 – Become an IFNA™ Member! IFNA™ Membership offers 10% off of all 5 IFNA™ tracks (that’s 33 modules)! Once you become a member, you will receive a special coupon code for use with each of the five tracks. Click here to become an IFNA™ member: https://www.ifnacademy.com/product/become-an-ifna-member/. Step 3 – Log in. Once you are registered, log in to the course shell at the top right hand corner of your screen and you will be taken to a Welcome Page where you click on the Track you registered for. Once you are there, you will enter the world of IFNA™ training! Video presentations – Each video presentation is led by an IFNA™ faculty expert that comes with an information-packed, clinically useful module loaded with clinical pearls! For a description of each module, click here. Beautiful color and information filled powerpoint slides – You will have access to the powerpoint slides both as 1 slide per page and 3 slides per page for optimal note-taking! All powerpoints are downloadable and yours to keep indefinitely. Enjoy your IFNA™ Toolkit and Resources – Every module comes with many carefully selected downloadable scientific papers, handouts, patient questionnaires, web resources, free apps, and full protocols with dietary recommendations, supplement brand names and dosages, conventional, functional and nutrigenetic laboratory test recommendations and mind-body practices! You will also find many brandable office documents for your logo placement. 1. EARN CPEUs. You can matriculate through the various Tracks and earn CPEU’s if that’s all you want. 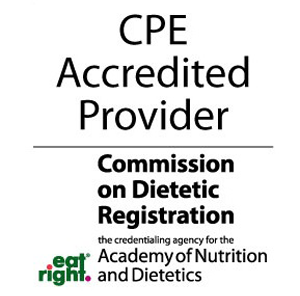 We offer 220 pre approved CPEUs and we are an Accredited Provider with the Commission on Dietetic Registration. Do you know about the free IFNA™ listserv? If you want to join, just email us at info@IFNAcademy.com and we’ll add you on! Send us a message at https://www.ifnacademy.com/contact-us/. We’d love to hear from you! At the Integrative and Functional Nutrition Academy™, you will acquire the knowledge, skills and tools in IFN therapy that will not only bring you greater satisfaction in your professional practice and those you serve, it distinguishes you from your peers to make you one of the most sought after clinicians in the competitive healthcare marketplace. Whether you are a novice or a proficient nutrition practitioner, IFN Academy™ offers something for everyone. Based on your incoming level of expertise and credentials, we will help get you started on the right Track to meet your professional career needs. Just getting started? We’ll walk you through the basics in our Track 1 (Get Ready.. Just the Foundations™ ) and make sure you are thoroughly prepared to dive into higher level training in Track 2 (Get Set…Putting it All Together™ ) and eventually Track 3 (Go…Practice Now!™). By the time you’ve completed the IFN Academy’s training program, we guarantee you’ll look, feel and practice like an IFN pro! Feeling proficient and want to take your hard-earned knowledge into an integrative and functional nutrition clinical practice right now? You’ve got it. The IFN Academy™ Track 3 (Go…Practice Now!™) features the top experts to share their clinical pearls and educate you on the more advanced areas of Integrative and Functional Nutrition in practice. 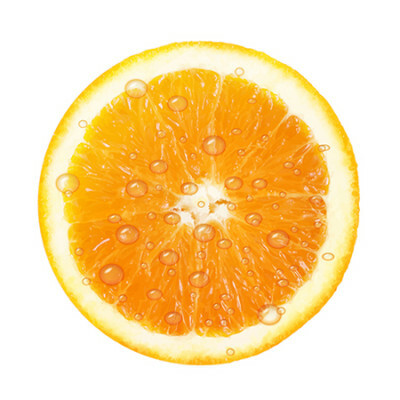 If you’re interested in a more in-depth understanding of therapeutic elimination diets for clinical nutrition practice, this Track is just for you! We’ll explore the evidence base and the clinical application of “whole food as medicine” dietary therapies such as gluten and casein free, FODMAPs, ketogenic, histamine restricted, vegan, paleo, and several other health supportive therapeutic elimination diets. You will learn the “ins and outs” of each dietary therapy and increase your skills in the art and science of therapeutic clinical nutrition. The Case Study Immersion or “CSI Track” designed to give you even more case-based opportunities to immerse, investigate and integrate the functional nutrition care process into your own practices! IFNA™ membership is for anyone matriculating through the IFNA™ program and/or for those who have graduated. IFNA™ membership offers an opportunity to continue to connect with like-minded functional nutrition oriented practitioners to share information and ask questions about important IFN related work. What content areas does the IFN Academy™ cover? At the IFN Academy™, you will acquire the knowledge, skills and tools in IFN therapy (such as IFN clinical protocols, dietary supplements, therapeutic elimination diets, conventional and functional labs and mind-body practices) that will not only bring you greater satisfaction in your professional practice and those you serve, it will also make you one of the most sought after clinicians in the competitive healthcare marketplace. Do you want to learn about NUTRITION ASSESSMENT and..
what questions to ask and what forms to use when trying to use an integrative and functional nutrition approach to patient care? what to look for in a food record? what signs and symptoms to look for in a nutrition focused physical? what functional diagnostic labs to order/request and when? how to interpret traditional blood chemistries from the integrative and functional nutrition lens? what is a static assay versus a functional assay and when and why might it be more useful to use one over the other? how to identify the seven core imbalances in your patient and understand how are they interrelated? how and when to use the various functional assessment tools such as the IFM Matrix™, the IFMNT Radial and others? how to know if your patient needs a dietary supplement? And assess what they may be already taking? how to assess your patient’s readiness to change? how to integrate empowering mind body practices in your care plan? How to identify (and treat accordingly) celiac versus non-celiac gluten sensitivity (NCGS) and other gluten related disorders (GRD)? How to handle thyroid cases versus autoimmune thyroiditis issues? How to identify which stage of adrenal fatigue your patient may be in? How should dental/oral health issues be addressed? When to order/request a fasting insulin versus a blood glucose or A1C level? how to create a functional nutrition based PES (problem, etiology, signs/symptoms) statement if necessary in your clinical setting? understand the 2/5/7 algorithm and how it can be used as a clinical map for solving the puzzle of chronic illness? how to create a customized healing foods meal plan for your patient? when to use an elimination diet? Gluten free? Vegan? Paleo? FODMAPS? traditional recommendations such as low salt? Low cholesterol diets? High protein? Carb counts? Calorie levels? the role of diet and specialty nutrients in mental health and mood disorders including depression, anxiety, and sleep disturbances? the unique nutritional needs of children with mental health and neurobiologic issues such as ADHD, Asperger’s or autism? 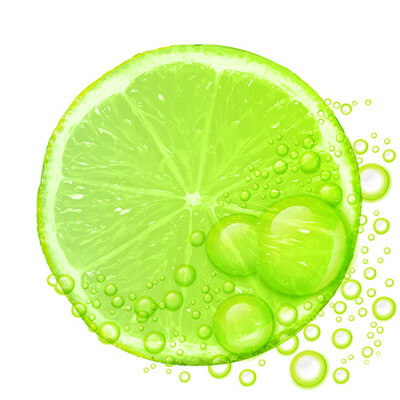 how to safely recommend detox diets? cleanses? fasting protocols? what is the most recent evidence re: organics and genetically modified organisms (GMOs)? how to assess the supplements your patients may already be taking? how to know what supplements to recommend – i.e. everything from probiotics, digestive enzymes, HCL, botanicals, vitamins, minerals, herbs, medical foods, functional foods, antimicrobials, etc. how to dose supplements properly using an individualized approach? how to evaluate drug-induced nutrient depletions and what to do about it? how to identify potential nutrient – drug interactions? how to know what forms of nutrients are most appropriate for your patient based on the most recent evidence? where to get access to the best dietary supplements? how to interpret the lab information your patients already have? what labs to order/request next? when it’s time to order functional diagnostic labs and if so what to ORDER/request? how to incorporate genetic testing (also referred to as nutrigenetic testing)? and by what lab? how to interpret nutrigenetic results into useful IFN recommendations? how to get one-on-one assistance with functional diagnostic lab interpretation? how to translate biochemical and metabolic pathways based on lab results into clinical recommendations? how to tailor your intervention and recommendations to the patient’s starting place? the role of biofilm, chronic bacterial, yeast or parasitic infection, and heavy metal toxicity, how this may be impacting the patient’s health and how to safely and successfully treat with IFN? how to know when to refer to other health care professionals? how to effectively incorporate mind-body modalities with limited time? how to prioritize and triage your patient recommendations to improve patient outcomes? when it’s time to refer out and to whom? Do you want to learn what the best RESOURCES for continuous improvement are? Where do you go to for the most up to date resources? How do you know what resources/organizations/”experts” you can trust? Do you need help translating research into clinical recommendations? Do you want to learn how to apply your IFN training and start your own successful private practice? Please note – RDN feedback about IFNA training can be sent directly to CDR as noted in CDR Accredited Provider Handbook (Standard 3b, page 6). Why Choose the IFN Academy™? Why train with the IFN Academy™? The IFN Academy™ is the only training program created by advanced degree RDN’s who have successfully designed and operated a science-based, evidence-informed, thriving private practice. We have pioneered and implemented this approach at numerous, leading healthcare organizations! Our modules are taught by a multi-disciplinary “all-star cast” of the nations top experts in a systematic and cohesive manner to give you hundreds of combined years of teaching experience! Our training incorporates years of experience of business practices with details that range from managing an in-office dispensary and online dietary supplement formulary, robust conventional and functional diagnostic lab testing, and a culinary nutrition, “food as medicine” immersion all in one. Our goal is to help you filter through the flood of information in this emerging field and teach you the art and science of systematic, critical thinking and clinical application. We are committed to educating, inspiring and empowering you to help relieve the suffering of your patients and turn the rising tide on chronic disease. At the IFN Academy™, we use a strong, user-friendly academic and clinically relevant approach to your learning process. You can feel confident about your IFN training with your patients in practice and with inquiring colleagues who may question your IFN-based recommendations. The IFN Academy™ has created important learning outcomes (statements that describe significant and essential learning that participants have achieved and can reliably demonstrate at the end of each track) that identify what you will know and be able to do by the end of a course or program. They provide evidence that learning took place. Each participant will be able to demonstrate the ability to use the nutrition care process (ADIME) using the IFNA Nutrition Care Plan™, the Integrative and Functional Medical Nutrition Therapy (IFMNT) Radial and/or the Institute for Functional Medicine (IFM) Matrix in order to provide high quality care using both the science and art of personalized nutrition therapy. Describe an integrative and functional nutrition perspective to clinical decision making. Identify and describe the basic underlying physiological and pathophysiological principles based on the individual case study. Find and utilize practice-informed and/or evidence-based research and/or resources to justify nutrition intervention. 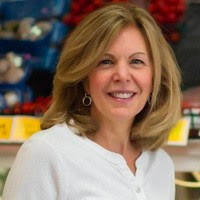 Utilize a multi-dimensional framework that takes into account the patients’ lifestyle factors (including emotional state, financial and socioeconomic influences and readiness-to-change assessment), physiological systems, signs and symptoms, sources of stress, nutrition focused physical findings, core clinical imbalances, labs, and dietary patterns in the assessment and planning of the nutrition care process. Identify the most appropriate assessment tools based on the individual case study. Identify the most appropriate dietary recommendations based on the individual case study. Identify the most appropriate supplementation recommendations based on the individual case study. Identify the most appropriate labs to order/request based on the individual case study. Identify the most appropriate exercise recommendations based on the individual case study. Identify other appropriate lifestyle considerations (mind body practices, stress resiliency, sleep hygiene, etc.) based on the individual case study. Create or utilize appropriate patient education handouts. Identify potential drug-nutrient interactions including drug-induced nutrient depletions. Describe basic medications that are used in the allopathic management of chronic disease. Generate nutrition care plans that are practical based on the individual case study and create realistic expectations for patients. Demonstrate safe and ethical clinical practice within the student’s scope of practice, identifying “red flags” for serious or potentially serious medical conditions that may require referring out as necessary. Demonstrate critical thinking of short-term and long-term approaches and patient goals that embrace the integrative and functional medicine model of addressing the root cause of disease, including preventive health care. Make the necessary adjustments in patient care if the patient expresses dissatisfaction or lack of compliance for any reason. We’ll not only guide you throughout the training, we’ll also show you HOW to think like a competent IFN expert so you can eventually learn how to do your own nutritional investigative work to successfully manage those complicated cases that will continue to keep coming your way! The following outline is a BRIEF description of what you’ll receive when matriculating through the IFN Academy™ modules. All modules include an opportunity for case based learning and clinical application. All modules include whole foods nutrition, laboratory evaluation and dietary supplement and mind-body practice recommendations. Important UPDATE re: CEUs for IFNA Track 2: Effective June 2nd, 2017, CEUs are no longer being offered for ONLY Modules 6 (Detoxification) and 8 (Adrenal, Thyroid and Hormone Dysfunction) of Track 2. If you purchased Track 2 BEFORE June 2, 2017, you WILL receive CEUs for all 9 modules in Track 2 and this update does NOT apply to you. Keep in mind that you still have 220 remaining preapproved CEUs you can earn with IFNA training! If you’re interested in a more in-depth understanding of therapeutic diets for clinical nutrition practice, this 6-module track is just for you! We’ll explore the evidence base and the clinical application of “whole food as medicine” dietary therapies such as gluten and casein free, FODMAPs, ketogenic, histamine restricted, veganism, paleo, and several other health supportive therapeutic elimination diets. You will learn the “ins and outs” of each dietary therapy and increase your skills in the art and science of therapeutic clinical nutrition. Can I apply my training toward CPEU requirements? Yes! The IFN Academy™ is a Continuing Professional Education (CPE) Accredited Provider with the Commission on Dietetic Registration (CDR). CPEUs are approved through the Commission of Dietetic Registration and are available for Registered Dietitian Nutritionists (RDNs). Other health care professionals may be able to apply training hours as well. Be sure to check with your licensing/credentialing agency. Please note – The 10% membership discount does not apply to Personal Mentoring sessions, the Culinary Nutrition Immersion, the IFNCP™ Review Course, IFNCP™ Application or IFNCP™ Exam. 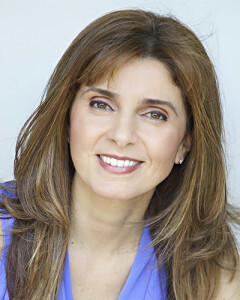 Q – I recently took the first course of another online functional nutrition mentoring program for RDN’s. If I sign up with IFNA™, would I have to start at the beginning or could I start with Track 2? A – One of IFNA’s guiding principles is “inquiry” – the desire for learning new concepts and deepening one’s knowledge in a spirit of intellectual curiosity and open-mindedness. In keeping with “a beginners mind”, we recommend that you start with our first track (Track 1…Get Ready…Just the Foundations™). There may be new information that we present in Track 1 that would benefit you as a practitioner. Also, this learning should reinforce and enrich the information you learned in another program. To help with having to pay twice for similar information, we offer a 25% discount for students that have taken another online, functional nutrition program. Just provide us with a written copy of your receipt or CPEU certificate and we will provide you with a one-time discount code for 25% off Track 1. Please note: this discount ONLY applies to Track 1 and can NOT be combined with any other discount or coupon code. A – Yes! Currently, CPEUs are being offered for all of the modules in each of the 5 online Tracks (with the exception of modules 6 and 8 in Track 2) and the IFNCP™ Review Course. The total number of CPEUs being offered is 220. RDNs in the United States applying for CPEUs with the CDR must apply for each module separately. However, only one certificate of completion will be awarded for each Track. A – Anyone over the age of 18 is eligible to take the online IFNA™ Tracks or Culinary Nutrition Immersion which leads to the Certificate of Training (COT). However, the application for the IFNCP™ credential are limited to health care practitioners or masters level university students in the health science/nutrition field. Health coaches, massage therapists, personal trainers, nutrition consultants and/or those with a high level of interest but no formal training are not eligible for the IFNCP™ credential unless they hold a minimum of a bachelors of science in nutrition PLUS 1000 hours of clinical practice within a 5 year period. If you have questions about eligibility, feel free to contact us at info@IFNAcademy.com. A – Yes! Each module has an end-of-module quiz that must be taken before moving on to the next module. We encourage students to make use of all of their resources when taking our online quizzes. Please note – The Certificate of Training and the IFN Certified Practitioner™ programs are both optional. CPEUs are earned regardless. A – Yes! The modules in our learning management system will offer a variety of robust instructional tools including downloadable powerpoint presentations, customizable educational tools, a plethora of patient handouts, clinical protocols, seminal journal articles, audio and video recordings and so much more! A – We estimate you’ll need approximately 7 hours to complete each module, however, this will depend on how many times you choose to review the materials included in each module. We offer 33 “fully-loaded” modules divided into 5 Tracks spread out over the course of a year. Click here for a description of each module. There are many components to each module, including a 90-120 minute video presentation led by special guest faculty, a comprehensive toolkit, many resources and the end-of-module quiz. There are also many tools, handouts, protocols, brandable documents, resources, research papers, patient questionnaires, downloadable powerpoints and so much more that we load each module with! A – Every module within each track has a private, online discussion forum integrated into learning management system reserved strictly for paid IFNA™ students. This is where students are encouraged to share comments and ask questions about the topics in each module. Outside of the discussion forum, there is also the free IFNA™ Google group listserv (electronic mailing list) open to any health care professional to ask and share information about a variety of healthcare topics. A – In developing the IFNA™ curriculum, we have attempted to take the best of what academic settings offer while balancing that with the time constraints that most working healthcare professionals are managing on a daily basis. 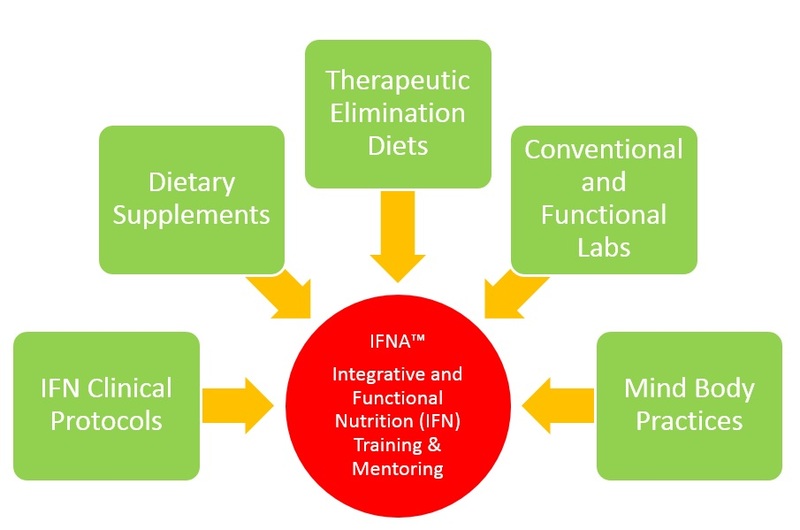 IFNA™ programs are not academic degrees, however, we feel that the IFNA™ program offers the most cutting edge, online/distance learning, scientifically oriented, peer-reviewed, Integrative and Functional Nutrition program on the market today. Given the attractive pricing per track, we feel that the IFNA™ program offers considerable “education density” per dollar and time. IFN Academy™ is pleased to announce their Scholarship Awards! This scholarship award is designed to fund IFNA™ training for those individuals with significant financial hardship. This award is designed to recognize IFNCP™ participants who have graduated from all IFNA™ tracks and immersions and have demonstrated superior retention, excellence in clinical practice and/or academic proficiency in integrative and functional nutrition. Hey Folks, Our website is under construction for now.. please come back soon! Learn the most effective diagnostic and treatment protocols for preventing and reversing chronic illness! If you’re ready to propel your integrative and functional nutrition education, passion and commitment forward, we guarantee you’ve come to the right the place. 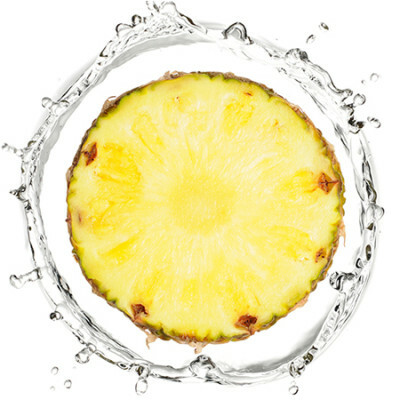 Don’t delay another day – Integrative and Functional Nutrition is here to stay!